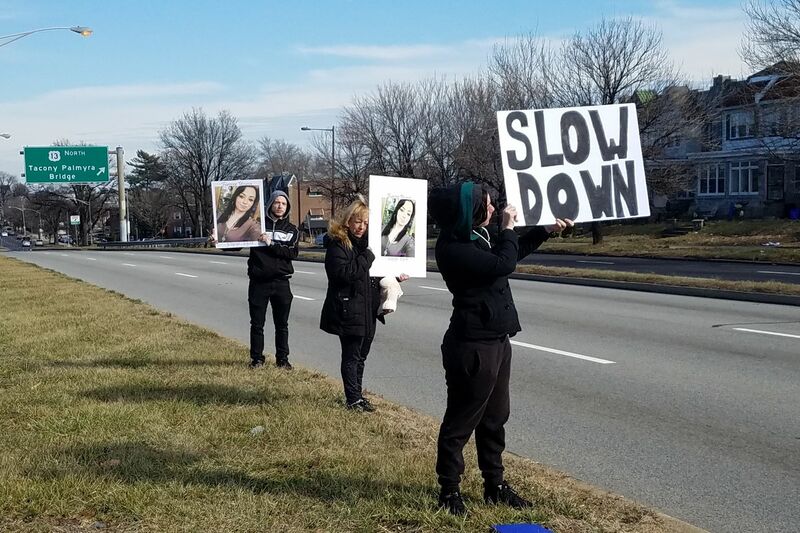 The Gabay family, who lost 21-year-old Daniela Gabay on February 5, 2018, raises awareness for speed cameras on Roosevelt Boulevard. On Saturday afternoon a two-car crash injured six people on Roosevelt Boulevard and the lives of two families were changed forever. This occured at the intersection of Roosevelt Boulevard and Whitaker Avenue in my district in the lower Northeast section of Philadelphia. The crash caused two children to be thrown from their car windows. Three of the injured motorists were children. A 5-year-old child is in critical condition, another 5-year-old and a 10-year-old were reported in stable condition. We don’t have to accept crashes and fatalities as normal on Roosevelt Boulevard. Roosevelt Boulevard represents half of 1 percent of all roads in the city but it is where 12 percent of all crashes occur. Since 2011, at least 60 people have been killed with another 4,700 injuries along the Boulevard. In 2018 there were 21 deaths on Roosevelt Boulevard accounting for 21% of all the fatalities on the city’s road. A two-fold increase from 2017. We are clearly trending in the wrong direction. Last year, before his retirement my colleague Representative John Taylor pushed for and passed Senate Bill 172 which would allow Philadelphia to install nine cameras on Roosevelt Boulevard between 9th Street and our border with Bucks County. This was a rare bipartisan win that came from the efforts of a diverse group of stakeholders who want to see safer city roads. I was proud to join my colleagues to vote in support of this bill. Speed cameras would be programmed to automatically take photos of any vehicles going 11 mph over the 45 mph speed limit and mail them a ticket. Upon implementation, drivers will have a 30-day grace period during which speeders would receive a warning. Contrary to what detractors have said, the goal of speed cameras isn’t revenue collection. The objective is an incentive to change drivers behavior. I’m sure the city would be happy to never have to collect any revenue at all from this initiative. It would mean that the warnings worked and motorists have adjusted their behavior and driving more safely. To be clear, speed cameras aren’t a panacea for everything on Roosevelt Boulevard. Distracted driving, texting and driving and more cars on the road all increase the risk for pedestrians and drivers. The evidence is clear, however, speed cameras do help save lives. According to the Washington, D.C. Department of Transportation they’ve seen a 20 percent reduction in crashes and injuries where speed cameras have been implemented. Speed is a factor in more than 50 percent of fatal crash reports. When you get people to slow down you create a measurable reduction in crashes, injuries and fatalities. Now that the state legislation has passed, It is now up to Philadelphia City Council to pass legislation allowing the Philadelphia Parking Authority to actually implement speed cameras on Roosevelt Boulevard. I implore City Council to move as soon as possible on this life-saving initiative. State Representative Jason Dawkins serves the 179th Legislative District, which stretches throughout Lower Northeast Philadelphia.